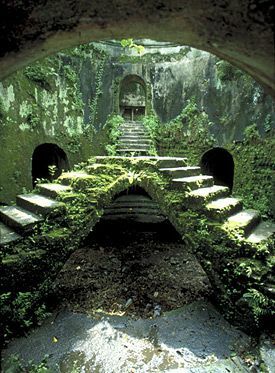 Plants reclaim the ruins of a subterranean mosque in the Tamar Sari, a park built by the first Muslim sultan of Yogyakarta. The city was the royal – and the remains of the cultural – capital of Java. Source by shirochocobo used under Creative Commons license.